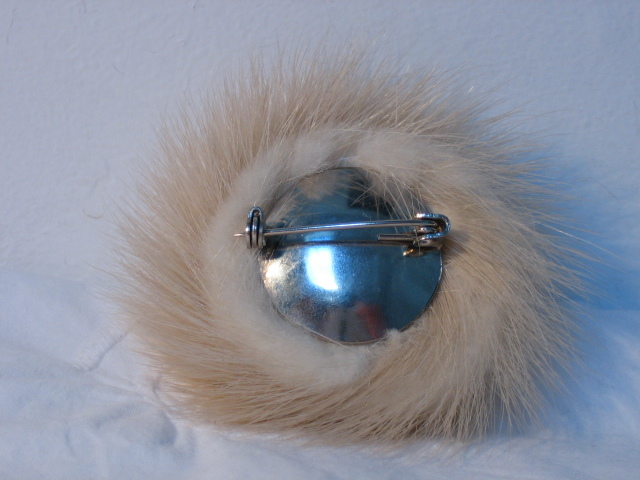 1950s vintage mink brooch in original box. If you only have one brooch for your fifties costume, it should be this one! It is sooo typical of the era. 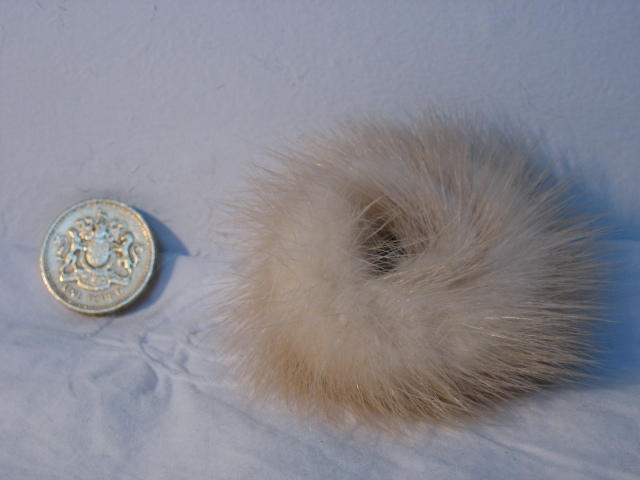 At a time of general austerity, when mink was the acme of luxury, this is the most many women could afford; at such a time, a little conspicuous consumption meant a lot, and such brooches were worn with pride, on hat, coat or jacket. 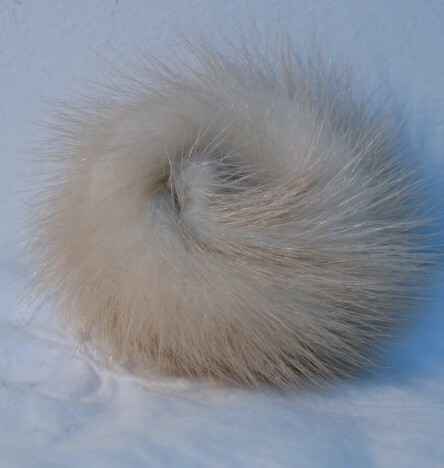 This little furry fellow has not been worn, is in perfect condition, and even lives in his original box - sadly, the price tag has been removed. As you can see, the clip is worthy of the item, and will keep this precious statement safe. 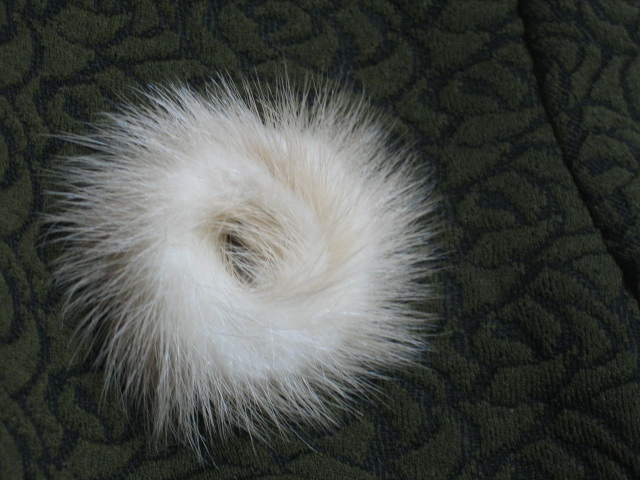 It is hard to measure, because of the long staple of the fur, but the brooch is about 2 inches (5 centimetres) in diameter.